To begin with there are a few things you have to understand about an Android phone. No two phones are alike. Phones that come from different manufacturers have their own custom software add-ons and interfaces. Android phones are like your Thanksgiving dinner table. You look around and can tell that most of the people are genetically related, but each has their own “special” qualities and quirks. This is why these phones are popular with the various carriers and manufacturers. They have, in theory (and I think its just a theory) the ability to differentiate their offerings from one another. It gives the marketing folks a “raison d’etre”. Android phones are not the one size fits all that you get from the iPhone. Android phones are very capable devices. But as they say “With great Power comes great responsibility” In this case its your responsibility to make the phone do exactly what you want. With that preamble, you will understand that my moving from an HTC Android to a Motorola Android required a bit of a learning curve. I lost the HTC Sense UI that I had grown use to and now have some alien form of Moto Blur (really a bad name for a UI!) and straight Android. 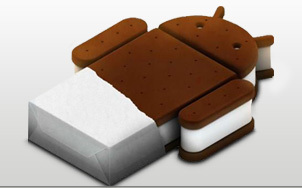 I also went from my “Froyo” version of Android to “Gingerbread”, with the promise of getting upgraded to “Ice cream sandwich” in the new year. Unlike Apple, many Android devices have been orphaned at lower versions of their operating system. Now for the actual device. It has a Kevlar backing and I am sure someone will try to shot it and see it its actually bullet proof. Note to person wanting to try that, It is not bullet proof, trust me! Leave that stuff to the MythBusters show. You will also realize that this phone is really, really fast. Dual Core, lots of Ram , yada, yada, yada. Once you get over how cool looking and fast the phone is, you have four main tasks. Getting your email and social media accounts hooked up, finding, installing and arranging your applications, loading up you media (songs. videos, pictures, etc) and figuring out how to make the battery life last longer than 6 hours. I will assume that you know how to do the first two. I will now focus on what I did to extend battery life. Wouldn’t it be nice if something in your phone just knew to do all this for you? Make display timeout 15 seconds, make brightness 0%. All these rules are completely variable and configurable by the user. I arrived at this set for myself after a bit of trial and error. With the tricks I listed above and creating these automatic actions , I can get about 10 hours of usable time on my phone before a charge. This is about what I got on my HTC Android. 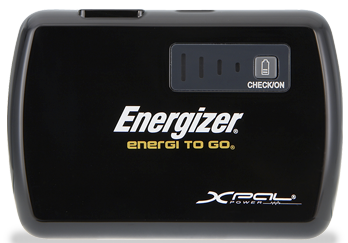 As a backup I carry a small rechargeable “Energergizer to go” model xp2000. 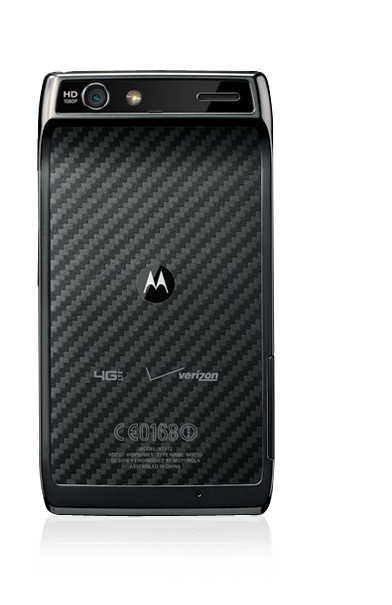 This is about 1/3 the size of the phone and carries one complete re-charge. 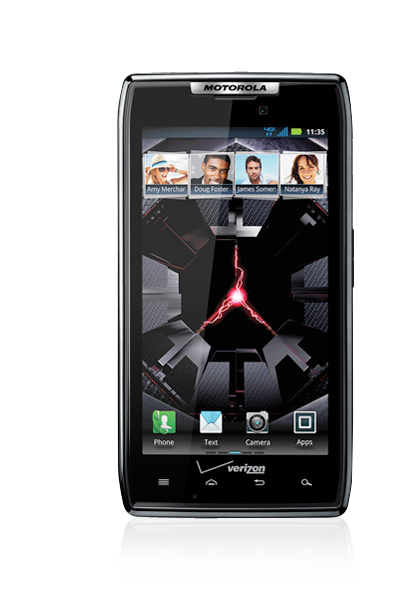 I would recommend this phone if you want a thin, yet large screen device, with lots of speed. If you get it you will have to spend some time tweaking it to get it just the way you like it. Google + Moto is the BIG NEWS of the summer. It was big enough to grab me out of my blog vacation. While the pundits are filling the airwaves with analysis on this one , I view it perhaps more simply, more straightforward. The battleground for supremacy in connected devices (mobile smartphones, Tablets, and set-top boxes) has moved from the R&D labs to the court rooms. The patent wars between Apple and Google are fierce, with Microsoft bulking up on its own portfolio as part of the consortium that bought the Nortel patents. 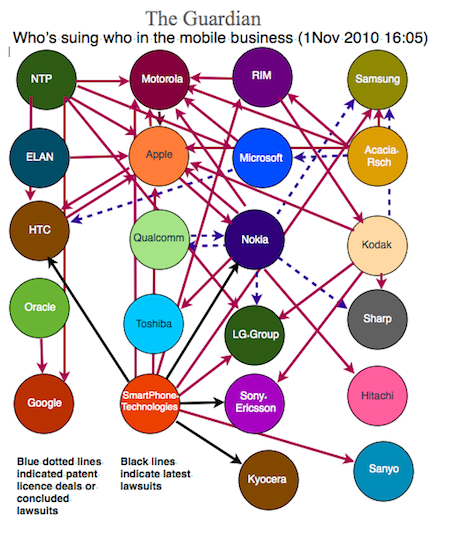 Motorola was worth the price Google paid just for their patent portfolio. In patent wars if you get sued, you better have a patent in your portfolio that can hurt the attacker. In this way you trade mutual assured destruction with a patent stand-off. When Google acquired the rights to Motorola’s 25,000+ patents, they bought both defensive capability and offensive firepower. Apple may go after Android for an Apple patent but what are the changes that Google now has a patent that can hurt Apple? It is impossible to design and produce a device such as an iPhone, iPad, or Android device that will not infringe on someone’s patent. Impossible. What a company must do is acknowledge that they will infringe and hope the other guy also infringes on their patents and us the mutual infringement to to either create a license arrangement or to have both companies do nothing. Google’s price of $12.5B is about $500,000 per patent, which seems to be a bargain compared to the $4.5B Apple and Microsoft for 6000 Nortel patents. Their price was $750,000 per patent. 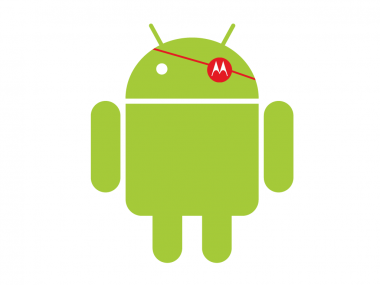 Lets assume that the Motorola sale is approved and Google gets the Motorola patent portfolio. Google’s next problem is that they have also bought a company that makes handsets. I say this is a problem because this is a huge company in a market that is different from Google’s core competency. This is also a company that competes with Google’s other OEM partners for Android Devices. The conventional wisdom is that these other OEM partners will start to defect, en mass, to Microsoft. What does defect even mean? Microsoft will pay these companies to produce some Windows phones anyway. Android is free. Can Microsoft compete with free? Google makes its money on Android from their ad business. Microsoft must make money from their software license for Mobile 7 operating system. Besides for being years late to the party, Microsoft is structural disadvantaged to compete. At best they can hope to be a number 3 player. Number 1: They can acquire the patent portfolio and then spin out the Motorola Mobility Business, probably re-cooping half their initial investment. They could sell Motorola’s handset and tablet businesses, along with licenses to the patents they now own to either HTC or Samsung, their two most important OEM partners. This would be an amazing move. Number 2: Keep the Motorola hardware business and expand Android into the Cable Set-Top Box market. This is the riskier of the paths as the sheer weight of a big manufacturing company could alter the culture of Google for the worse. This path would be an attempt to become “Apple”. While this path seems to be the assumed defacto strategy of Google, I am placing my bets on scenario #1. This will take a couple of years to play out, so hold onto this link and let’s see if I am right. An indicator that we are on Scenario 1 will be if Microsoft acquires RIM (Blackberry) or Nokia. This would be an acknowledgment that the Google OEM manufacturers are not going to defect to Microsoft and that they must own a hardware company to compete. This has only gotten worse in the last 10 months! Microkia – Birth of a New Species? or Death of Old Ones? 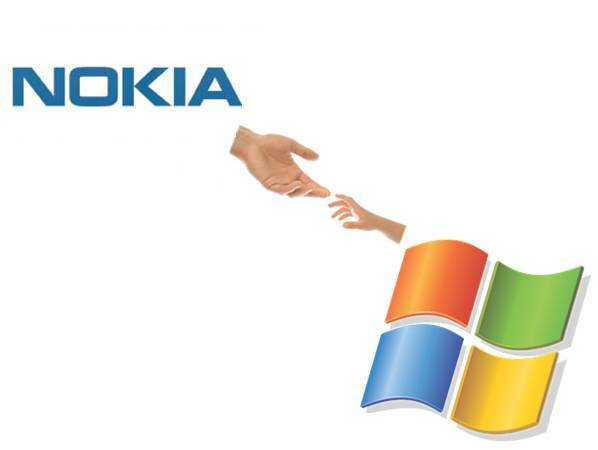 Last Week Nokia announced that they were ditching their Symbian Smartphone OS in favor of Windows Mobile 7. For those consumers who live, work and play in North America this announcement barely warrants a yawn. For the rest of the world- the world in which Nokia has been the number one mobile device for what seems like forever – this is big news. I was an “involved player” in the early formation of Symbian. At the time a Palm-like device from Psion was dominant in Europe. The three intelligent organizers (as they were called 14 years ago) came from Palm, Psion and Microsoft. The conventional wisdom, at the time was to not allow Microsoft to establish a monopolistic stranglehold on mobile platforms, like it did in the PC. From this strategy grew the Symbian operating system that was used primarily by Nokia and Ericsson. Symbian was based on the Psion OS. During the BiCE (Before Iphone common era), the coolest smartphones were in Europe and ran Symbian. Microsoft tried to continually adapt a desktop centric design philosophy to mobile devices. They had very modest success, far less than their corporate ego would admit, externally or internally. The good news is that the strategy worked. Microsoft never established a monopolistic foothold in the mobile space. The industry exchanged one dominant force for another. Apple and Google have established that position in this next generation. In the AiCE (After iPhone Common Era) period the world changed. Nokia’s dominance which was (is) based on great physical phone design, radio interfaces, button placement, and distribution, suddenly seemed less relevant. The great Symbian operating system was like the Neanderthals, once Homo-sapiens appeared. A report released just 4 days ago listed Apple with a 45% share of Smartphones in Europe, followed by 16% for both Android and Blackberry. Symbian had fallen to around 12%, and is in free fall. Nokia’s Smartphone share in the largest Smartphone market (North America) is close to nil. On a worldwide basis, Symbian has just been eclipsed as the leader by Android with both around 30% share. Meanwhile Microsoft has also been ablaze, except they continue a public stance of “damn the torpedoes, full speed ahead”. They seem to have temporarily righted their ship with Windows 7 sales, mainly because businesses refused to buy the disastrous Windows Vista. They are becoming the Xerox of the new millennium- Lots of great ideas and ground breaking technologies, with very poor execution. I have mentioned in previous blog articles that the Windows 7 Mobile, on the surface looks like a viable technology. However, the product is very late to the party, is called “Windows”, and its marketing was linked to Zune (Do you have one?) and Xbox. Good ideas, poor execution. Against this backdrop, Steve Elop hooks up with his former Boss, Steve Balmer and the two sinking ships attempt to tie themselves together to stay afloat. Nokia will have to navigate through the support issues for the millions of Symbian consumers and also there now seemingly aborted relationship with Intel on the Meego Smartphone platform. Nokia is rationalizing themselves as a hardware platform vendor, not a software producer. They are making a deal that seemed unthinkable for over a decade. They have been pushed into a partnership with Microsoft by the success of Apple and Google. The real winner is Microsoft. Nokia is betting their Smartphone future with the Windows Platform and hoping that it turns around its plummeting Smartphone share. Microsoft is risking much less because they have much less to risk in the mobile space. They have a single digit of market share. The announced Micorosoft relationship with the largest manufacturer of mobile devices, as they say, “Can’t hurt!”. The integration and production of “Microkia” phones will take at least 6 months and more likely a year. That’s another year of innovation and product releases from Apple and Google. The Micorosft /Nokia combination must define a new class of Smartphone, perhaps aimed at developing markets , that is a clear differentiation from the highend iPhone and Droids. Without a new Smartphone species, Microsoft and Nokia with continue to look like Neanderthals and suffer a similar fate. There is a pertinent story about a man who was working on an oil platform in the North Sea. He woke up one night from a loud explosion, which suddenly set his entire oil platform on fire. In mere moments, he was surrounded by flames. Through the smoke and heat, he barely made his way out of the chaos to the platform’s edge. When he looked down over the edge, all he could see were the dark, cold, foreboding Atlantic waters. As the fire approached him, the man had mere seconds to react. He could stand on the platform, and inevitably be consumed by the burning flames. Or, he could plunge 30 meters in to the freezing waters. The man was standing upon a “burning platform,” and he needed to make a choice. He decided to jump. It was unexpected. In ordinary circumstances, the man would never consider plunging into icy waters. But these were not ordinary times – his platform was on fire. The man survived the fall and the waters. After he was rescued, he noted that a “burning platform” caused a radical change in his behaviour. We too, are standing on a “burning platform,” and we must decide how we are going to change our behaviour. Over the past few months, I’ve shared with you what I’ve heard from our shareholders, operators, developers, suppliers and from you. Today, I’m going to share what I’ve learned and what I have come to believe. I have learned that we are standing on a burning platform. And, we have more than one explosion – we have multiple points of scorching heat that are fuelling a blazing fire around us. For example, there is intense heat coming from our competitors, more rapidly than we ever expected. Apple disrupted the market by redefining the smartphone and attracting developers to a closed, but very powerful ecosystem. In 2008, Apple’s market share in the $300+ price range was 25 percent; by 2010 it escalated to 61 percent. They are enjoying a tremendous growth trajectory with a 78 percent earnings growth year over year in Q4 2010. Apple demonstrated that if designed well, consumers would buy a high-priced phone with a great experience and developers would build applications. They changed the game, and today, Apple owns the high-end range. And then, there is Android. In about two years, Android created a platform that attracts application developers, service providers and hardware manufacturers. Android came in at the high-end, they are now winning the mid-range, and quickly they are going downstream to phones under €100. 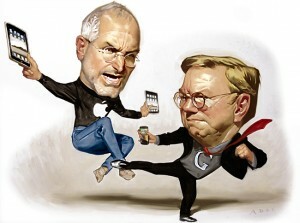 Google has become a gravitational force, drawing much of the industry’s innovation to its core. Let’s not forget about the low-end price range. In 2008, MediaTek supplied complete reference designs for phone chipsets, which enabled manufacturers in the Shenzhen region of China to produce phones at an unbelievable pace. By some accounts, this ecosystem now produces more than one third of the phones sold globally – taking share from us in emerging markets. While competitors poured flames on our market share, what happened at Nokia? We fell behind, we missed big trends, and we lost time. At that time, we thought we were making the right decisions; but, with the benefit of hindsight, we now find ourselves years behind. The first iPhone shipped in 2007, and we still don’t have a product that is close to their experience. Android came on the scene just over 2 years ago, and this week they took our leadership position in smartphone volumes. Unbelievable. We have some brilliant sources of innovation inside Nokia, but we are not bringing it to market fast enough. We thought MeeGo would be a platform for winning high-end smartphones. However, at this rate, by the end of 2011, we might have only one MeeGo product in the market. At the midrange, we have Symbian. 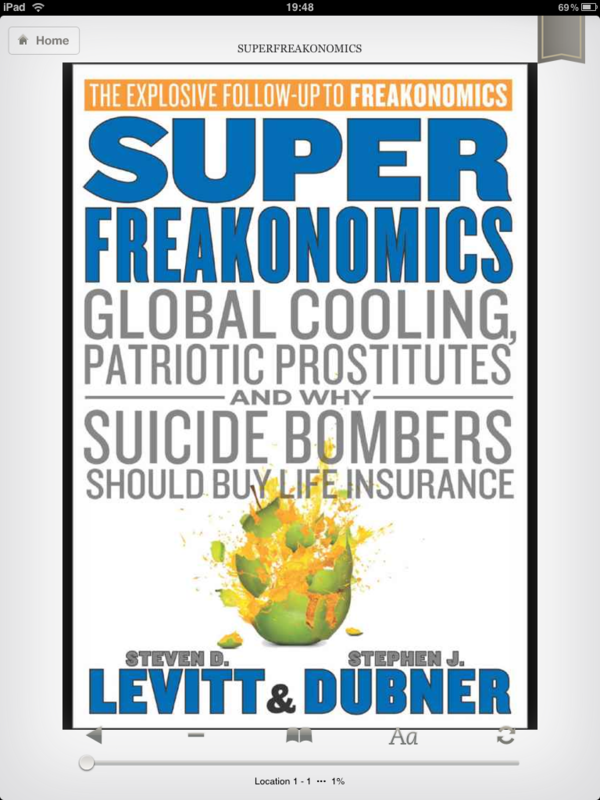 It has proven to be non-competitive in leading markets like North America. Additionally, Symbian is proving to be an increasingly difficult environment in which to develop to meet the continuously expanding consumer requirements, leading to slowness in product development and also creating a disadvantage when we seek to take advantage of new hardware platforms. As a result, if we continue like before, we will get further and further behind, while our competitors advance further and further ahead. At the lower-end price range, Chinese OEMs are cranking out a device much faster than, as one Nokia employee said only partially in jest, “the time that it takes us to polish a PowerPoint presentation.” They are fast, they are cheap, and they are challenging us. And the truly perplexing aspect is that we’re not even fighting with the right weapons. We are still too often trying to approach each price range on a device-to-device basis. The battle of devices has now become a war of ecosystems, where ecosystems include not only the hardware and software of the device, but developers, applications, ecommerce, advertising, search, social applications, location-based services, unified communications and many other things. Our competitors aren’t taking our market share with devices; they are taking our market share with an entire ecosystem. This means we’re going to have to decide how we either build, catalyse or join an ecosystem. This is one of the decisions we need to make. In the meantime, we’ve lost market share, we’ve lost mind share and we’ve lost time. On Tuesday, Standard & Poor’s informed that they will put our A long term and A-1 short term ratings on negative credit watch. This is a similar rating action to the one that Moody’s took last week. Basically it means that during the next few weeks they will make an analysis of Nokia, and decide on a possible credit rating downgrade. Why are these credit agencies contemplating these changes? Because they are concerned about our competitiveness. Consumer preference for Nokia declined worldwide. In the UK, our brand preference has slipped to 20 percent, which is 8 percent lower than last year. That means only 1 out of 5 people in the UK prefer Nokia to other brands. It’s also down in the other markets, which are traditionally our strongholds: Russia, Germany, Indonesia, UAE, and on and on and on. How did we get to this point? Why did we fall behind when the world around us evolved? This is what I have been trying to understand. I believe at least some of it has been due to our attitude inside Nokia. We poured gasoline on our own burning platform. I believe we have lacked accountability and leadership to align and direct the company through these disruptive times. We had a series of misses. We haven’t been delivering innovation fast enough. We’re not collaborating internally. Nokia, our platform is burning. We are working on a path forward — a path to rebuild our market leadership. When we share the new strategy on February 11, it will be a huge effort to transform our company. But, I believe that together, we can face the challenges ahead of us. Together, we can choose to define our future. The burning platform, upon which the man found himself, caused the man to shift his behaviour, and take a bold and brave step into an uncertain future. He was able to tell his story. Now, we have a great opportunity to do the same. Comments Off on Microkia – Birth of a New Species? or Death of Old Ones? In Microsoft’s struggle to remain relevant in the exploding mobile device market, they withdrew their latest attempt at a teen social networking device from the market. The Kin’s market life was about 50 days. It was a decent device , just two years late to the game. You can light a candle in memory of the Kin at kinrip.com. Its a very touching memorial website. May its memory be a blessing. According to Engadget part of Kin’s delay was caused by Microsoft scrapping the IP, or part of it, that it paid $500M for in their acquisition of Danger and instead re-developing the device on the soon to also be defunct Windows CE system. Engadget also reports on corporate power plays, executive infighting and internal office politics. Not what you would expect. If this is not a Harvard Business Case Analysis in the making for a new crop of Cambridge bound MBA’s , I don’t know what would be. You can read the full Engadget analysis through this link. The key element that is dominating the new super-phone marketplace is the ever-increasing velocity of innovation. 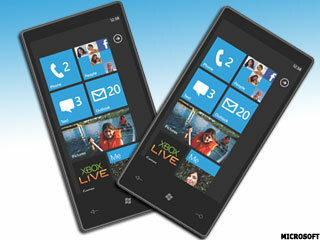 Microsoft announced their new Smartphone OS –Windows Mobile 7 – in January 2010. The first devices with this Microsoft OS are expected to hit the market near the December holiday season. In that same period of time Apple released their new iPhone and a new iPhone OS, the iPad, an Ad network, and who knows what else we will see in the next 6 months! The Android ecosystem will have almost two-dozen variants, with each new device more spectacular than the last. HP acquired Palm and is integrating their technology into their netbooks, and perhaps producing another new line of smartphones. RIM’s Blackberry will have several releases and a new OS, and of course Nokia’s product line has a makeover with a new operating system. The speed of innovation is accelerating at a dizzying pace. This is great for consumers, great for innovation and great for moving services to the market quicker. They introduced, and then killed one phone and announced that they will have a new system by the end of 2010. One thing is certain; the world is not waiting around for Microsoft to deliver their Windows Mobile 7 devices. But maybe we should be, and here’s why. Microsoft has too much corporate talent, financial resources and computing market reach to just pull up their tents and go home in the most important computing segment. Microsoft survived the debacle of Vista because they are Microsoft, and have had virtual monopoly power in desktop computing. In mobile, Microsoft is not the leader in market share, thought leadership or industry hype. They have to slug it out with a crowded field of very nimble and powerful competitors. This means they have to innovate and be quick about it to survive. Having almost a one-year duration from product announcement to introduction is just not getting it done. 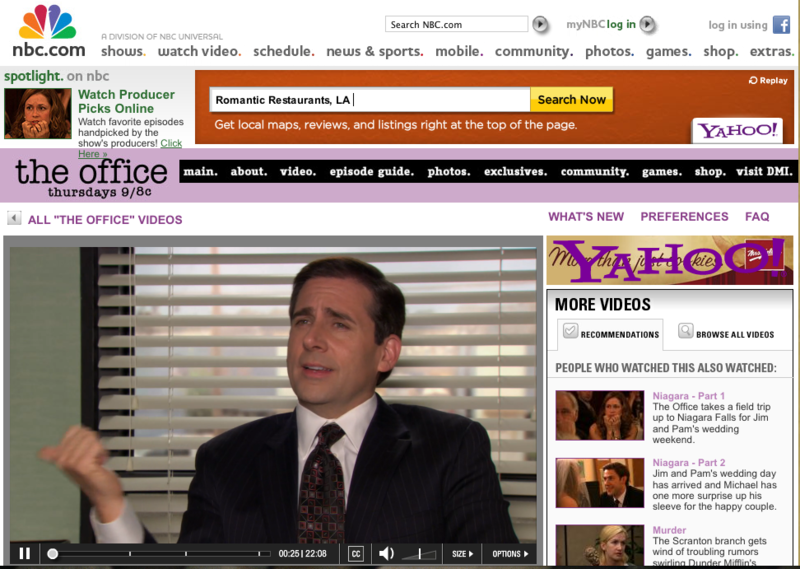 The irony is that the marketplace could really benefit from a strong Microsoft presence. Apple is getting very economically aggressive with their high perch in smartphones. Google’ Android Platform will likely eclipse Apple in aggregate sales in the next year. Do we all want to place our computing futures completely with Google? Make no mistake about it , I am a big fan of Apple and Google. It’s just that absolute power in markets has its downsides. From a U.S. perspective, the only companies with the overall corporate strength to play on the same field with Apple and Google are RIM and Microsoft. Nokia could be a legit player, globally, but their position in the U.S. is just not strong enough. In the irony of ironies, Microsoft is the leading candidate to challenge the emerging monopolistic leaders in the smartphone business. They can keep the competitive environment going well into the future and prevent it from stagnating into a duopoly. The issue is that Microsoft seems incapable of getting out of their own way, with failure following failure in this space. The Kin is just the latest mobile problem for Microsoft. 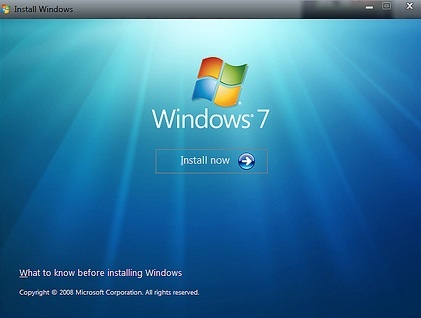 Even the name “Windows Mobile 7” is a window (sorry for the pun) to the desktop corporate computing bias. Android, Blackberry and iPhone all sound cool. 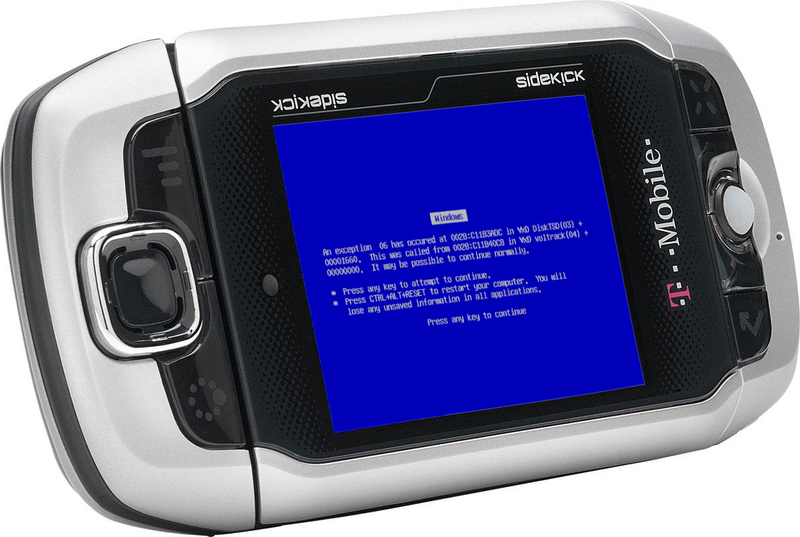 Windows Mobile 7 conjures up images of blue screens. I know that’s not fair but, it is what it is. Windows Mobile 7 seems like a name picked for internal synergistic and political reasons and not one geared for mobile market success. If there was ever a company that seemed to have all the assets in place to dominate the mobile smart phone business, it was Microsoft. Now they are trying to be in the mix and be relevant. If Windows Mobile 7 is not a success, then the last card for Microsoft to play will be the another acquisition , perhaps RIM? For the sake of keeping Apple and Google honest in this space, I am hoping for a success from Microsoft. Do you believe that Microsoft’s Mobile team can deliver? Saying Goodbye to my iPad – Is there an App for that? Since my iPad loaner period is about complete, its time to record what I like and don’t like about the sexiest device to hit the market since….. well probably ever. If your main activity is light web browsing and email, the iPad is in your sweet spot. The apps that are made specifically for the iPad are really few in number, so Safari and Mail will likely dominate your use. As the regular readers now, I am a fan of Google docs, which couples with the iPad nicely. Google docs gives me great compatibility with word, excel and powerpoint. One of the companies I consult with makes extensive use of the “Dropbox” application, which works great on the iPad. Dropbox is a virtual “cloud” drive that easily mounts on a Mac , PC, Android Phone and iPad. It is clearly the most promiscuous and functional file sharing application I have come across. I would be remiss if I also did not rave about the incredible battery life of the iPad. When I use it as an occasional browsing and email device, I only have to charge it about once a week. There are, however, a few things that the iPad is not. It is not a device that is meant to be shared amongst friends, family or colleagues. If you use the email app and let someone else borrow your iPad, they have all of your email. If you install an app and then let someone use the iPad and they also install apps, you will need each others iTunes credentials to enter into the iPad when those apps have updates. The iPad I have been using has been passed between three users. I can only update the apps that I installed. So scratch multiuser friendliness for now. Most sadly the iPad is not a great video entertainment device. It could be the ultimate travel entertainment device, but it fails. I say this because of the annoying lack of Adobe Flash support. If you want to play your favorite game on Facebook….fail. The war of words on this issue between Steve Jobs and Adobe are well chronicled in the Press and the Blogosphere. Speaking as a user and developer on the iPad, I view this as a major Faux Pas. I know you can download video from the Net, convert it to an iPad supported format and load it via iTunes, but that’s really beyond most users capabilities and completely misses the point of a Net connected device. If there were a competitive Android Tablet device on the market that compared head to head with the iPad, I would get the Android version just for the Flash Support. When I now want to watch a web videoon the go , I use my Droid smartphone because of the Flash Support. This would be like developing a PC that only supports one browser. Even Microsoft in its most Machiavellian days permitted other browsers to be installed within its operating system. I wish I could say this was anything other than Apple trying to drive all video for the iPad to be within apps and iTunes. The Apple Flash policy is pure, raw monopolistic power being wielded, clear and simple. To call it anything else is just poor technical rationalization. Apple used to be the underdog, the company of the people. Oh well. The next question is will I miss not having an iPad in my electronic arsenal? In this case I am probably very unique among iPad users. How many give up there iPad after a month? My iPad has been useful in business travel and meetings . Somehow I managed to survive travel and meetings without this wonder device in the past and I bet I will be just fine without it. I just won’t look as cool! If I suffer severe withdrawal symptoms I will let you know! It is not often that someone shows me something in tech that makes me go “WOW!, that’s cool”. I had such a moment recently when I met Jonathan Bulkeley, CEO of ScanBuy. Regular readers of this blog know that I rarely promote products and services, but rather just give my “guy on the street” views. 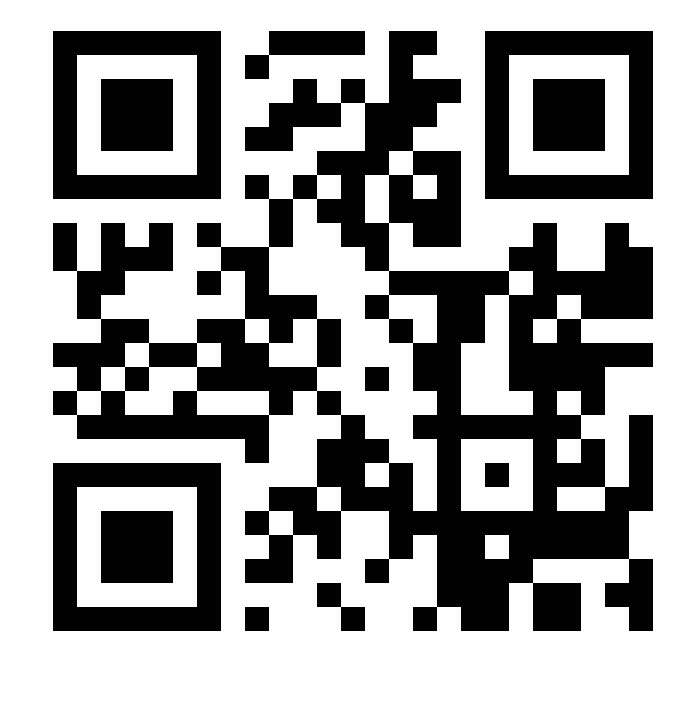 The company that Bulkeley runs is the one that produces the Android app that I use to scan barcodes. You can think of a barcode as a web url that directs the application to go to some specific website or activate an application. You can imagine that the directory service of linking codes to a website is an interesting business area. Now for the “WOW” moment. When I was talking to Bulkeley, he showed me his business card that had a 2-D barcode on the back. He said, “go ahead scan it”. When I scanned it, the application opened up the contact manager on my phone and auto-populated all of his details and asked me to confirm. That was WOW. You see ScanBuy and its consumer facing ScanLife website gives you the opportunity to have your own personal 2-D barcodes that link to a website or launch a contact application. There are codes you can make for websites, phone numbers, SMS, Twitter, and even a menu of items. And yet another that I made to link to my favorite Youtube video. I bet you can’t guess which one? 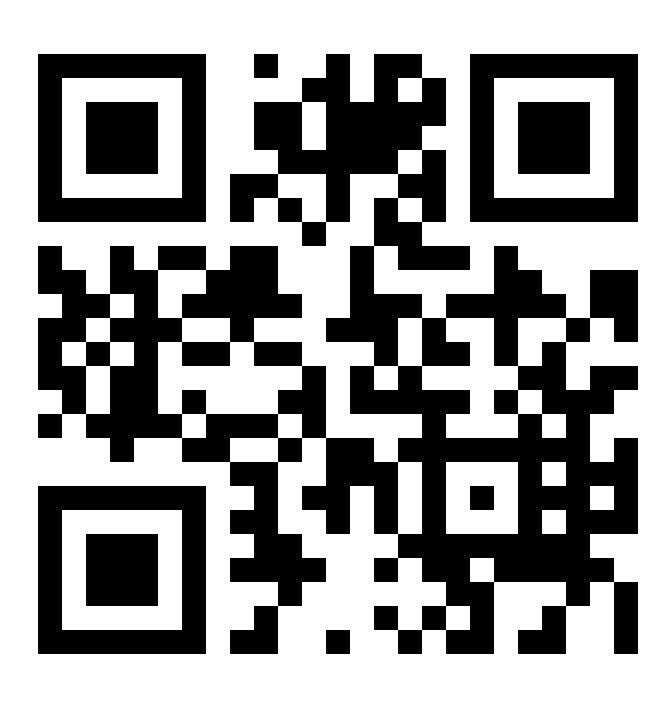 You can even change the destination website of any barcode on the ScanLife website. 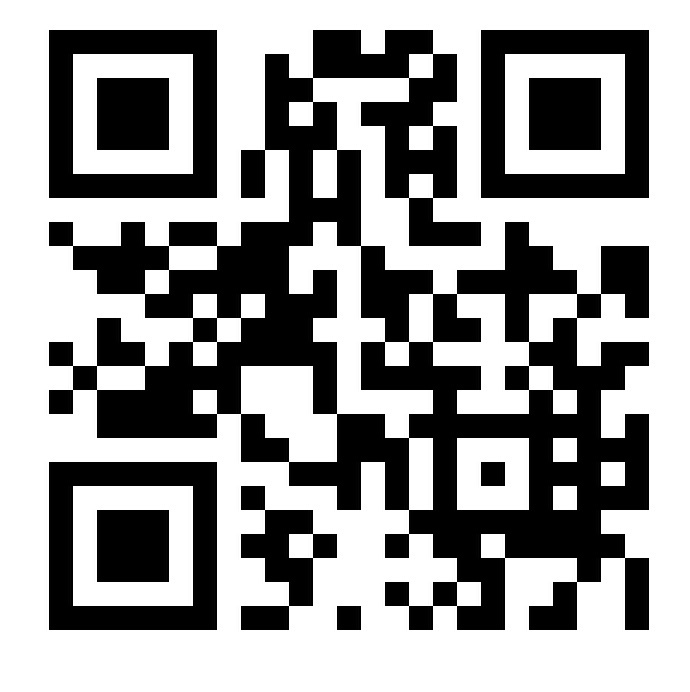 If you have a smartphone with a ScanLife application, you can scan these codes directly from your computer screen. He told me his daughter has a barcode on her dorm door and changes the website with her mood and likes. I could envision a whole new market in fraternities, sororities and dorms. No need to put a piece of clothing on the door knob as the signal of an “overnight” guest. Just make sure your roommate scans before he enters! But as they say – Wait –there’s more to this story…. A day later I was taking the train back to New Jersey from New York. The train was full and I was sitting alone in two facing seats. Three others came to occupy the other spots. There were two young women – maybe 22 – one with bright purple hair and lots of interesting body art and the other very blonde and pixie-like. Their androgynous boyfriend rounded out the group. Needless to say, I did not have much in common or much to say as the went on about their art exhibits and music performances. This was not the “Hey! how about those Yankees?” crowd. And I was not up on the latest exhibit in the Village. This all changed when Miss Pixie took out her Android phone. Ah!, now something of a connection. We had a long discussion on apps and her favorites. Her two interesting friends also had Androids, but older models (at least 6 months) and seemed behind the curve. Pixie liked the same apps I did. I am not sure what to conclude from that, so moving on…..
She had Twitter, Facebook, Foursquare, Skype and Google Navigation. Her really favorite “cool” app was, you guessed it – ScanLife. She did not even know the name of the company, just that she could use it when she shopped. Not wanting to waste a good promotion opportunity for Mr. Bulkeley’s company, I explained how she could have her own personal barcode that linked to something that she could pick, and even change. She was delighted and copied down the info. For this group of avant-garde artists, it was one more cool thing to adorn their body with , and something they could scan with their phones. The train pulled into my stop and my new friends, who were brought together by our Droids and barcodes, parted ways. During the past couple of weeks I have been using an iPad and trying to figure out where it fits in my digital hierarchy. For the record my technical stack includes an iMac , a MacBook, a netbook and, an HTC Droid Incredible and a Kindle. While at home the iPad was a toy. It was something to use while watching television. Thus it was slightly more convenient than having a macbook or net book for light browsing and email. As a book reader it was much nicer than my Kindle (which I still like). I installed the Kindle app on the iPad and read a couple of books on it. It was aggravating that movies that I can watch online easily with my Droid phone cannot be watched on the iPad due to the lack of Flash support. When will we have an Android Pad? The interesting part of my iPad experience came when I had a business trip last week. Instead of taking my laptop I went cold turkey and just took the iPad as my second device, in addition to my Droid phone. This decision shocked my colleagues, including the one who lent me the iPad to try out! 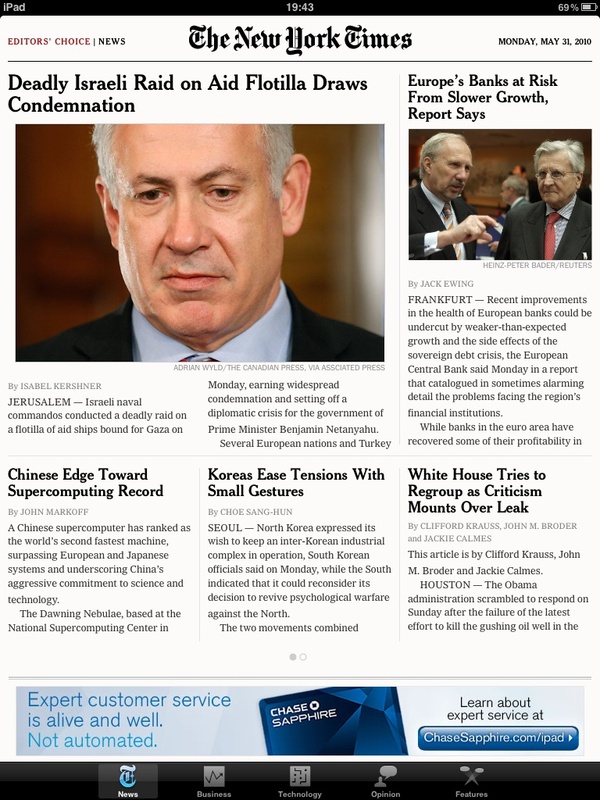 The iPad did well on the plane as I read the New York Times. This was especially interesting since the person next to me had the paper version and lusted after my alternative format. After finishing the Times, I read USA Today, played a couple of games and started to read one of the books I had downloaded via the Kindle app. I could also imagine that the iPad would make a great personal Video device for longer flights. At the business meeting I was the cool kid at the table. After all, what do you really do with a laptop at a meeting? You browse the web, check email and possibly access a presentation. Since I did not have a presentation to show, the later two were just fine. For the record if you want to display a power point presentation on your iPad the easiest way is to upload it to Google Docs and then access it directly from the Web. 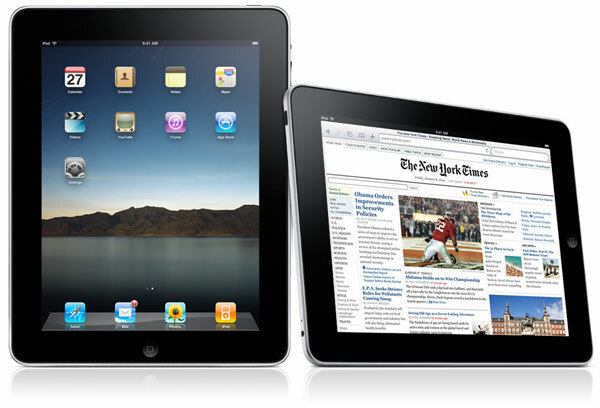 The iPad is really shines as a net connected device and thus using cloud services is the way to go. 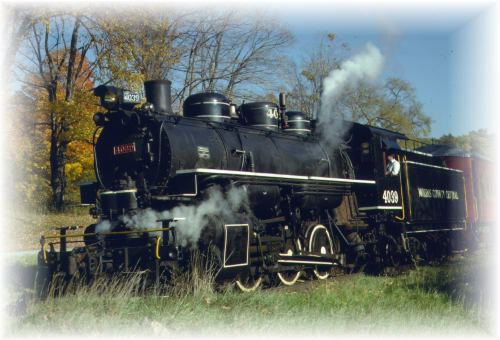 If you don’t have Web access then converting the presentation to JPG images or video also works. I also installed dropbox on the iPad and it worked great giving me access to my Cloud virtual drive. ared safe. 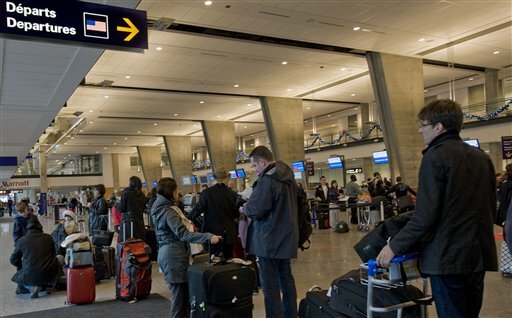 It was a slow day in Montreal for air travel. This had the makings of a real live Apple commercial. Note to Steve Jobs: Get that security tape and air it – great publicity. 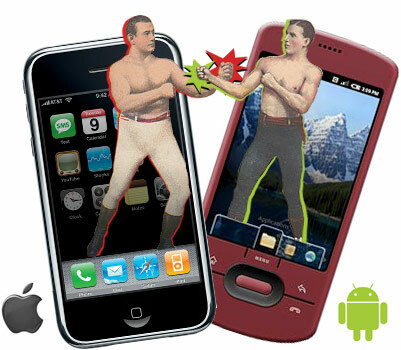 Mobileman · The Mobileman -Views on Mobile Tech, Social Networking, Gadgets and Applications , with Sense of fun!